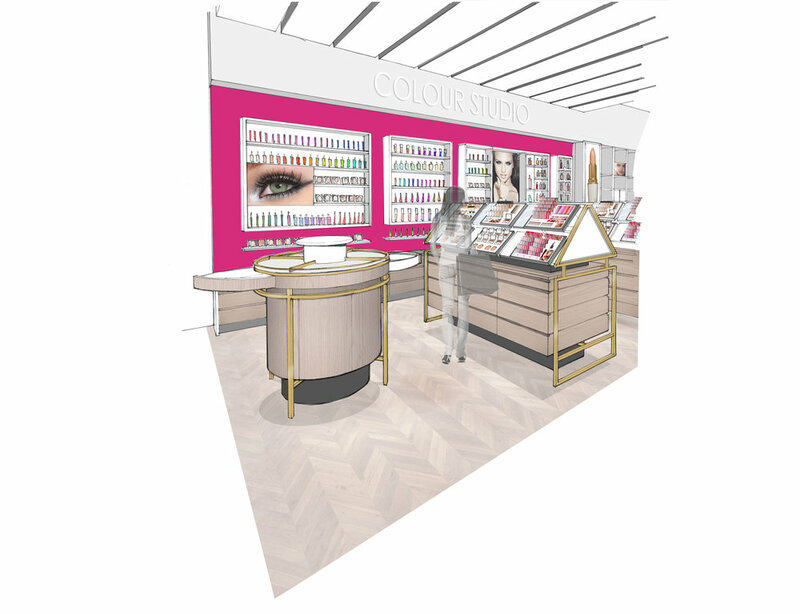 US beauty brand Avon best known for direct selling, opened its first bricks and mortar location in the Zlote Tarasy shopping mall in Warsaw, Poland. Umbrella worked with the brand using Avon’s signature colour palette of white, black and magenta combined with high gloss and steel finishes. 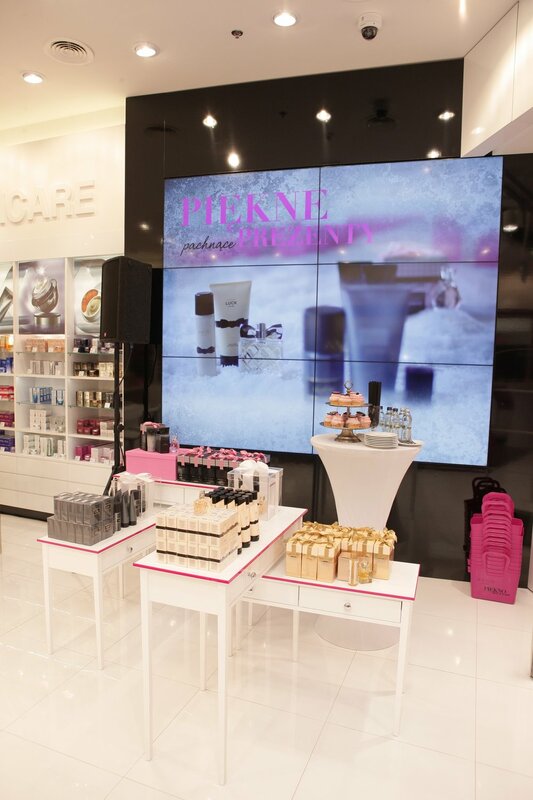 The space is divided into several product zones, fragrance, make-up and body care. 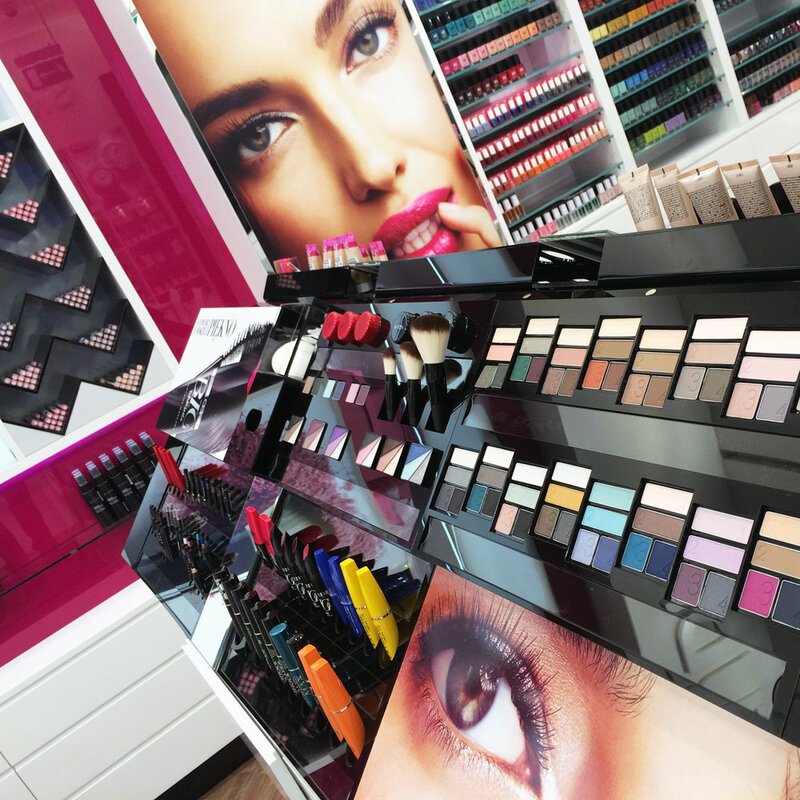 A nail polish wall display is positioned to entice younger consumers, while fragrance (Avon’s bestselling product category) is placed on the back wall, encouraging shoppers to explore deeper into the store.